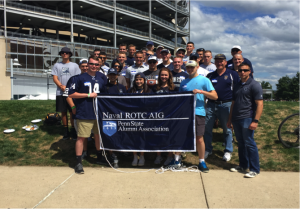 The past month of September has been a busy one for the Penn State NROTC Battalion. With the introduction of the class of 2020 and various Battalion wide events, the unit is already making an impact this school year. 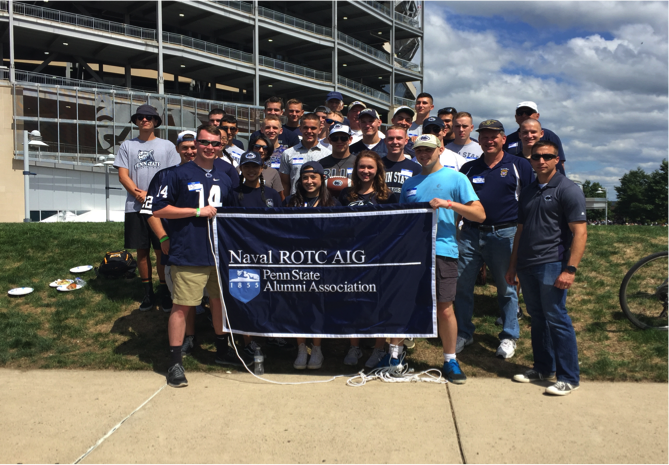 On Saturday 3 September, the Alumni Interest Group hosted a tailgate for the Penn State vs Kent State game. It allowed a chance for alumni to interact with the midshipman and give back to the unit and it gave the current midshipmen a chance to meet those leaders who have gone before them. Penn State won 33 – 13. Many thanks to all of the alumni and everyone that helped make the event possible. Midshipmen enjoy the great tailgate hosted by the Alumni Interest Group and are very thankful for all they do. On Sunday 11 September, approximately 50 Midshipmen participated in the Travis Manion 9/11 Heroes Run to benefit the Travis Manion Foundation. Travis Manion was a Marine Officer from Pennsylvania who lost his life fighting in the War on Terror. The Midshipmen showed their support for the cause by standing in a formation for the Opening Ceremony, provided a Color Guard, and ran in a formation during the race. Midshipmen and cadets from all three branches came together to pay respects for those who came before on September 16th for the POW MIA Vigil. Those men and women who served their country and paid the ultimate sacrifice for freedom are remembered for the heroism. Midshipman and cadets form together for a ceremony dedicated to these heroes and they stand watch all through the night to protect the image of these great men and women. This entry was posted in Battalion, Future Students, News. Bookmark the permalink.